I’ve become a bit of a Lisa Congdon fangirl lately. I know that she’s a famous talented designer and illustrator who seems to be everywhere, but just two years ago she wasn’t really on my radar. I know, sad. Whether she’s reminding me to be brave, standing up for worthy causes, or just making beautiful art, she’s an inspiring person to be aware of. I’m so glad to have some more of Lisa in my life. I have her art in my home, I’ve taken her line drawing class on Creativebug with my son, and I have the privilege of sewing with her Kindred collection for Cloud9 Fabrics. 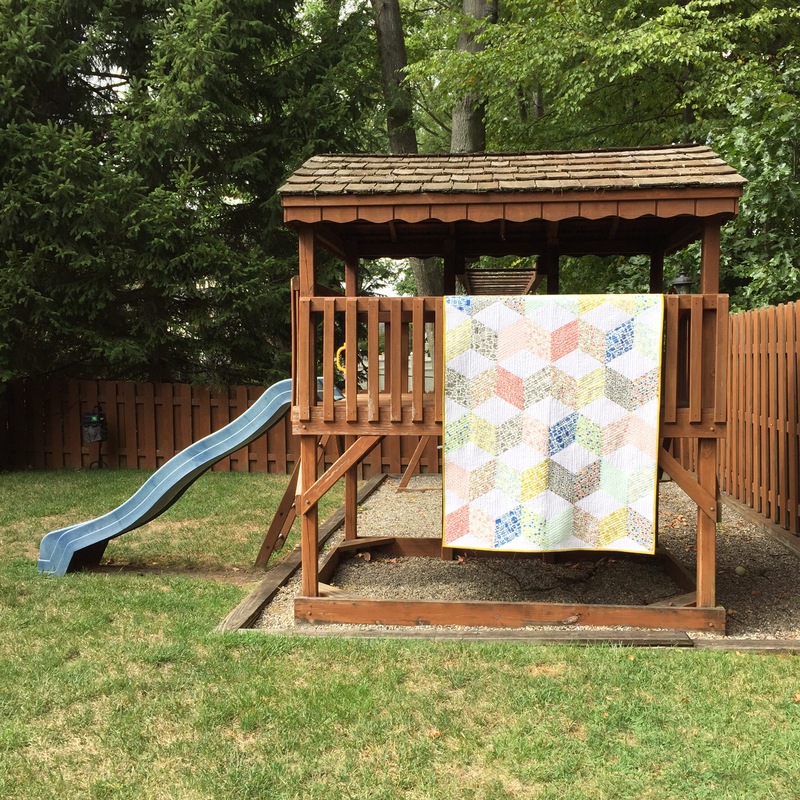 This quilt is called “Cubism.” It’s designed by Michelle Engel Bencsko, Cloud9’s creative director. It features all of the prints along with Cirrus Solids in Limestone. 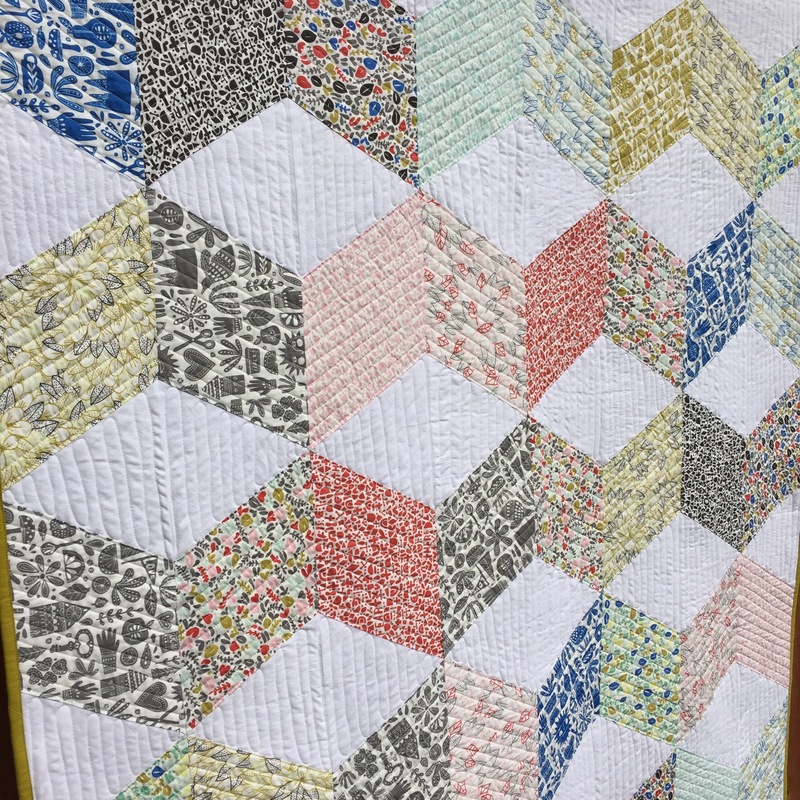 My creative contribution to the quilt is the texture, which I used by quilting zigzags in the prints (I used the seams as guides and spaced lines 1/2″ apart). Then I free motioned vertical lines about the same distance apart to enhance the cube illusion. I’m really proud of how the texture looks on the back. I’ll let you know when the free pattern is available online, but I couldn’t resist posting some pictures of a finish. It’s been a little while. There’s nothing like a finish to get a week off to a great start. Hope you have a great week too. 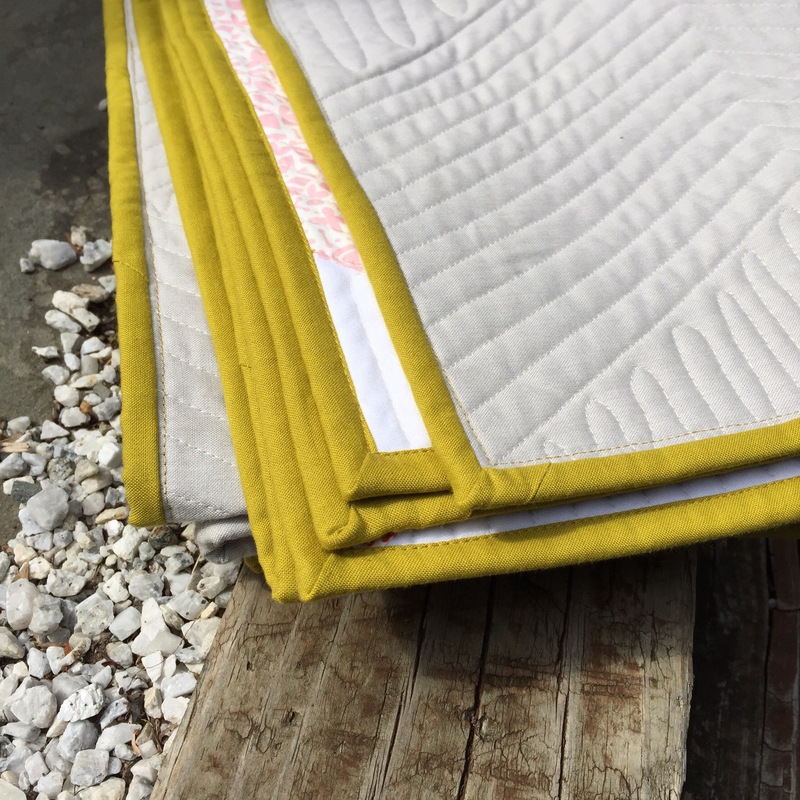 The texture you added is fantastic – and I am always a sucker for a view of the quilting on a solid back. From the back it looks like you added rick rack in the same color. That look comes from the quilting lines but it’s so cool to look at! 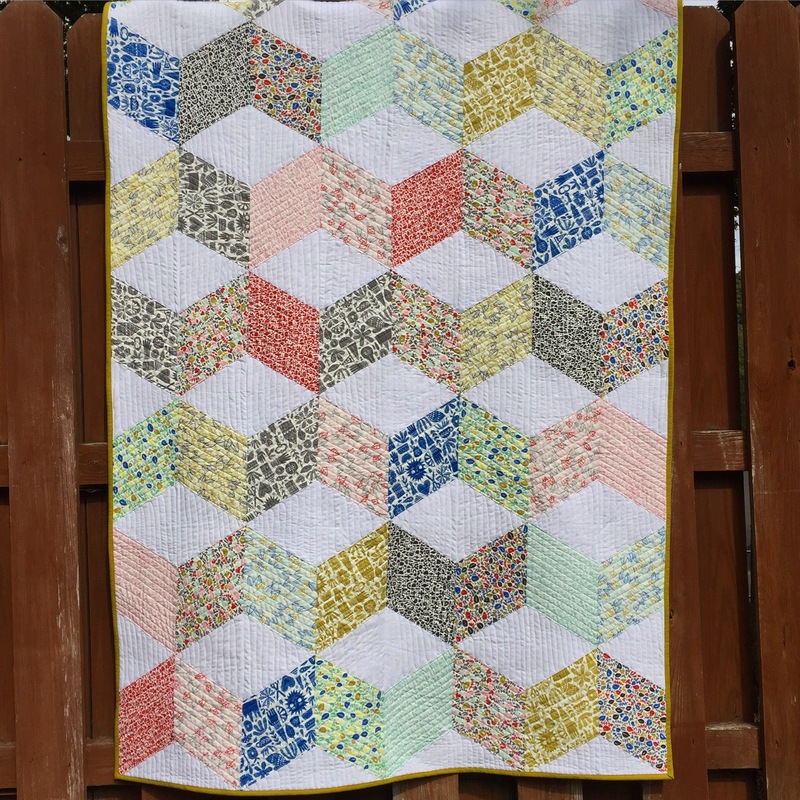 Really nice choice on the quilting! It really does give the illusion of 3D cubes. 😀 And it’s really lovely fabric too. Looks so cozy! 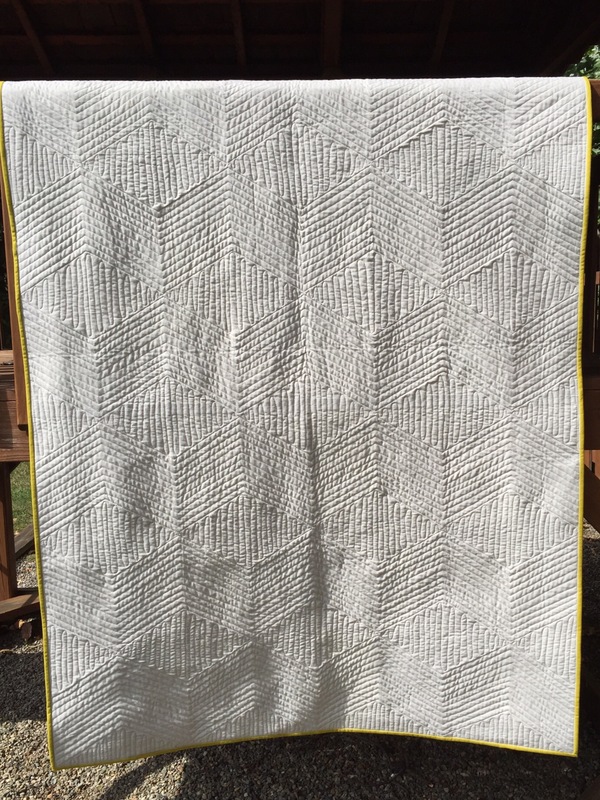 Wonderful texture, and the quilting works beautifully with the quilt and fabric patterns!